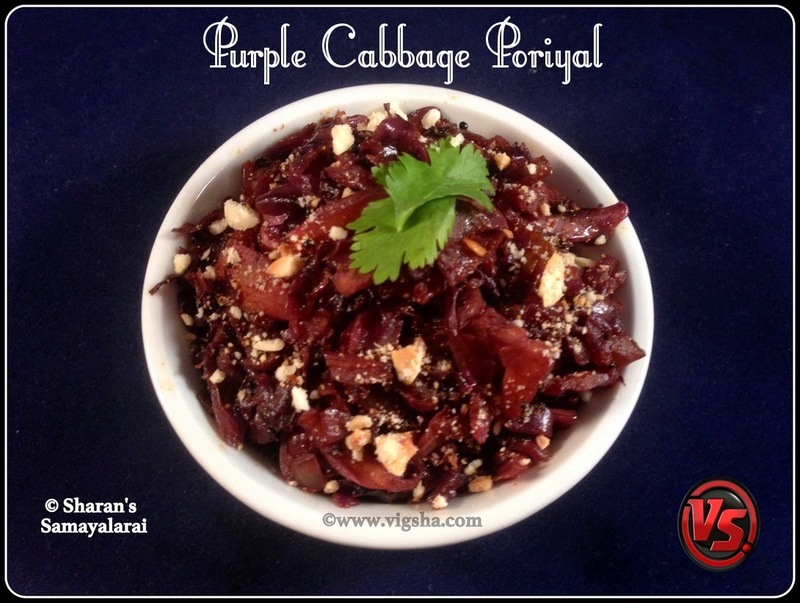 Purple Cabbage Poriyal is a colorful and healthy accompaniment. Cabbage is a great store of vitamin C and vitamin K. The rich deep color of this vegetable is due to a high concentration of anthocyanin polyphenols (strong dietary antioxidants, possessing anti-inflammatory properties), making it have even more phytonutrients than a green cabbage. 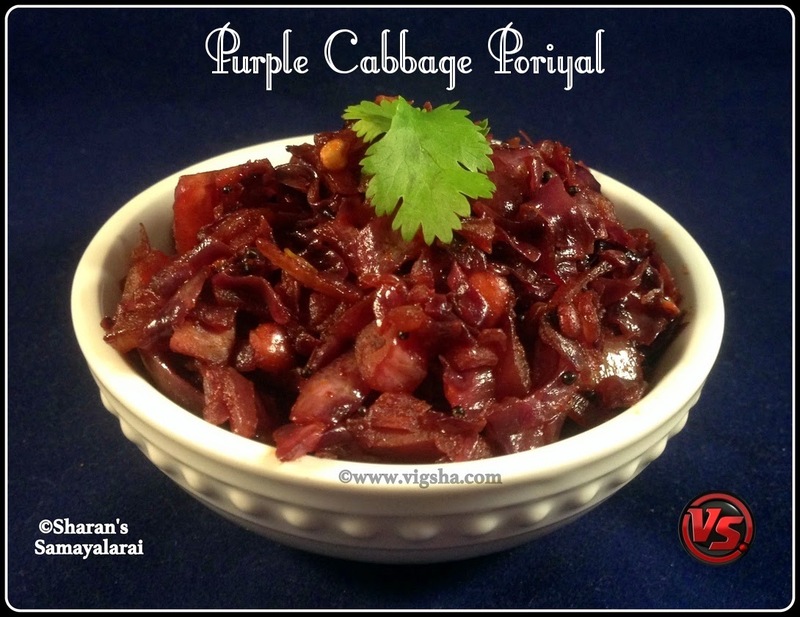 Check more Cabbage recipes which I have already posted :- Purple Cabbage Uthappam, Cabbage Chutney, Cabbage Poriyal (stir-fry). 1). Wash and finely shred the cabbage. Coarselt grind the peanuts and keep aside. 2). Heat oil in a pan, splutter mustard, add urad dal and channa dal saute till turns light brown. Then add onions and fry till it turns translucent. 3). Add turmeric powder, chilli powder, sambar powder along with salt and mix well. Then add chopped purple cabbage and mix together. 4). Sprinkle little water and cook covered till the veggies are fully cooked. Keep stirring often to avoid burning. Once the veggies are cooked, add the coarsely groundnuts and give a quick stir. Switch off. Serve hot ! I served with steamed rice and Kovakkai Arachuvitta Sambar or Milagu (Pepper) Rasam.